Insufficient Startup Idea Development — Most startups do not fail because the business idea is bad. The problem is that many first-time entrepreneurs fail to actually plan the business before sinking cash into the startup. No matter how great a business idea is, it can’t succeed without detailed planning. Take the time to work through every angle of your business idea. Not only will you have a better grasp of how far your business can go, you will also reduce your risk and prepare yourself to make the best decisions as you go. Failure to Understand and Comply with Legal Obligations — An unbelievable number of entrepreneurs leave the legal aspects of business startup to someone else or, worse, ignore them altogether. Eventually this failure to comply with legal obligations will come back to bite you…and the outcome can be devastating. Every entrepreneur must understand and secure all necessary licenses and permits, and set up compliance systems for taxes and fees due the local, state, and federal government. Poor (or no) Marketing Planning — Marketing is the lifeblood of every business startup, and it is more than business cards and a yellow pages ad. A significant portion of your time and expense budget should be dedicated to marketing. Poor or no marketing equals no sales…equals business failure. Do your homework before you launch to identify your target markets, figure out how to best reach them, and establish clear objectives and evaluations to ensure your marketing efforts are paying off. 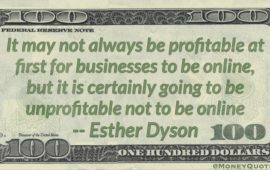 Poor (or no) Financial Management — Success in business is all about the bottom line — no profit, no business. Keeping the books correctly is half the battle. Too many first-time entrepreneurs are willing to turn over complete responsibility for the books to someone else — a dangerous decision that very often leads to business failure. Reviewing and analyzing the financial reports is the other half. It is critical for every business owner to understand what the financial reports mean and how a change in one area affects all the others. Cash flow issues are also major financial management problem for many startups in the earliest stages. Good planning before launching a startup will clarify how much cash on hand your business idea will need to succeed. Whether you consider yourself a numbers person or not, as a business owner it is critical that you take responsibility for learning and applying basic financial management skills if you want to succeed. Sales Forecast Errors: Establishing your initial sales forecast can be difficult, but there are procedures you can follow to make it as realistic and accurate as possible. All too often would-be entrepreneurs build a sales forecast around what they would like to sell, rather than what they are likely to sell. While optimism is an excellent entrepreneurial trait, an overly optimistic sales forecast will leave you with serious cash flow problems and even greater difficulty in securing financing. For example, one business plan we recently reviewed appeared well-written and professionally laid out. However, the sales forecast reflected sales that required every member of the staff to bill out 19 hours per day, 300 days per year. Another retail business showed average total purchases at $230 each, even though the average price of their products is only $12. Assuming that each customer will purchase an average of 19 items each time they visit is unrealistic. Any competent investor will look for these errors. Under-Capitalization: Not starting with enough capital to support the business through the initial stages is a common error. By thoroughly planning your idea, you will know how much capital you need to cover while you build your customer base, including working capital to keep yourself in ramen noodles until your business takes off. Good planning will also increase the chance of securing investors, whether public (banks) or private (family and friends). Poor Web Presence: An effective web presence is an absolute must for any modern business. Simply posting a website is not enough. In fact, uploading a website without marketing it is like posting ad copy only in your own living room — if your target market doesn’t see it, it might as well not exist. Many recent startups have crashed and burned because the entrepreneur thought that simply posting a website to the internet would drive sales. It won’t. Leaving Critical Tasks “To the Professionals”: Many entrepreneurs believe that a good idea and solid operations are enough to build a successful business, so they opt to turn over critical startup tasks, like marketing and accounting, to outsourced professionals. For some, the business side of business just doesn’t interest them, so they choose to forgo learning the details of financial and marketing management. Eventually, these choices backfire. If you don’t know how the money works, you can’t make the best decisions for your business. If you are not aware of the outcomes of your marketing efforts, you can’t accurately forecast sales and thus can’t plan for the future. It’s your business, you need to know and understand every facet from the beginning, or you might as well be working for someone else. No Ongoing Planning and Review: As the actual operations of a startup take up more and more of an entrepreneur’s time, it is very easy to overlook the critical tasks of reviewing and planning. Every aspect of a company should be reviewed periodically, particularly the financial statements and marketing plan. If you don’t know where you are or where you have been, it’s impossible to know where you are going. Lack of Patience – Pit of Despair: Every startup experiences a period of time between being ready to sell and actually building the sales. We call this gap the Pit of Despair because the entrepreneur is left wondering if they have made the right decisions and whether the business is ever going to work. Many startups hit this point and the entrepreneur quits in frustration. Startups don’t generally succeed overnight. The Pit of Despair should be used to refine internal systems, work through free internet marketing techniques (participate in relevant forums, write and publish articles, build website content), and plan for the future of the business. Don’t let the inevitable delay destroy your chances of success — plan for it, expect it, and use the time wisely. For the most part, a strong focus on the three keys of startup success (planning, marketing, and financial management) will overcome most of the common reasons for business failure. Pay attention to the details from the beginning, learn all you can about running your own business, and don’t let anything get in the way of building your business into the thriving company it can be.